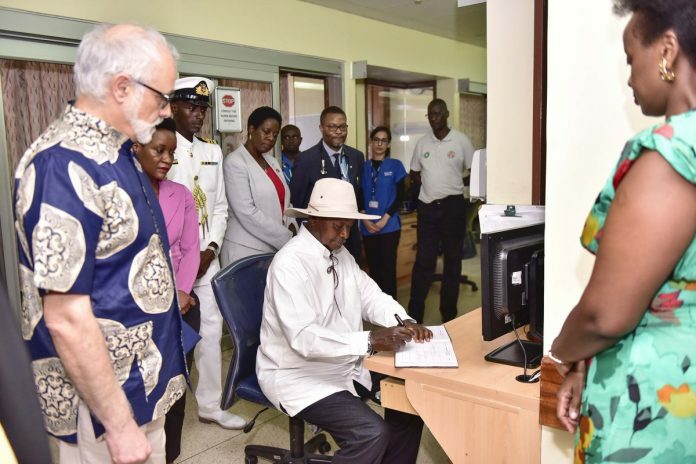 President Museveni on Friday once again visited Speaker of Parliament Rebecca Kadaga who recently admitted at Aga Khan Hospital, in the Kenyan Capital Nairobi. The president said in tweet that he visited the speaker and former Kenyan President Daniel Arap Moi who is also hospitalized. Hon. Kadaga was rushed to Nakasero hospital shortly after arriving from a trip to New York and Morocco. She was later transferred to Aga Khan Hospital in Kenya. Media reports indicate the speaker suffered an arterial clot, which according to medial information, can quickly and dangerously limit blood and oxygen flow into the brain. Reports add that she is likely to be transferred to Spain by the end of this week depending on her stabilization. “She is still in the hospital and I don’t think she can be discharged at this time. It is still too early to discharge her,” He said Ms Kadaga’s health condition remains a private matter which the doctors cannot reveal to anyone except close family members and attendants.